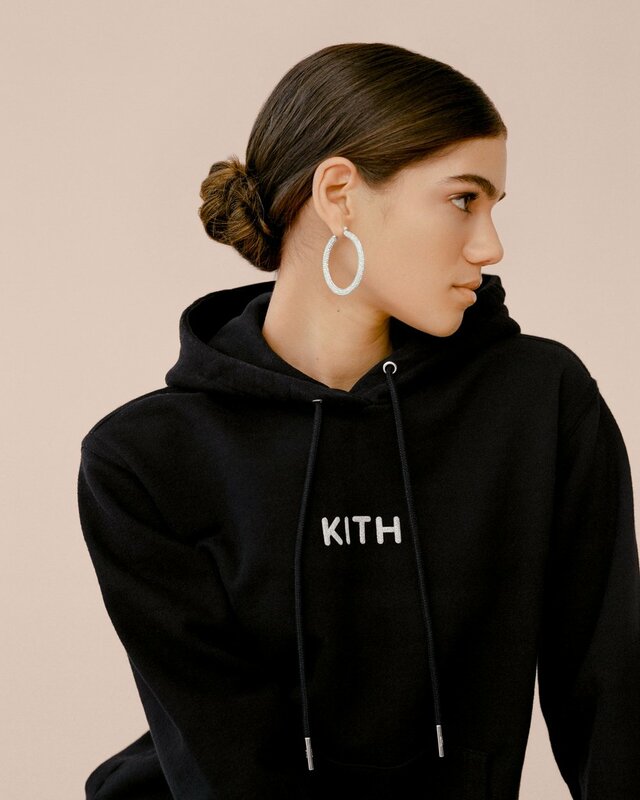 We recently took a look at Kith Women Classics line that featured their staple products and featured a few new lines as well. Kith Women is now back with the Kith Women Glitter capsule that adds a touch of sparkle to their basic silhouettes with the Glitter Logo. The Kith logo is present in Rose Gold or Silver glitter to hoodies, long sleeve and short sleeve tees and sweatpants. The pieces are available in black and heather grey. If you’re looking for a way to shine you can cop the collection now online and in-store.